Between the ages of 7 and 14 the children are taught, guided and inspired by their class teacher. For eight years this one individual teaches the children not only literacy and numeracy but also introduces them to the world via history, geography, art and the sciences. 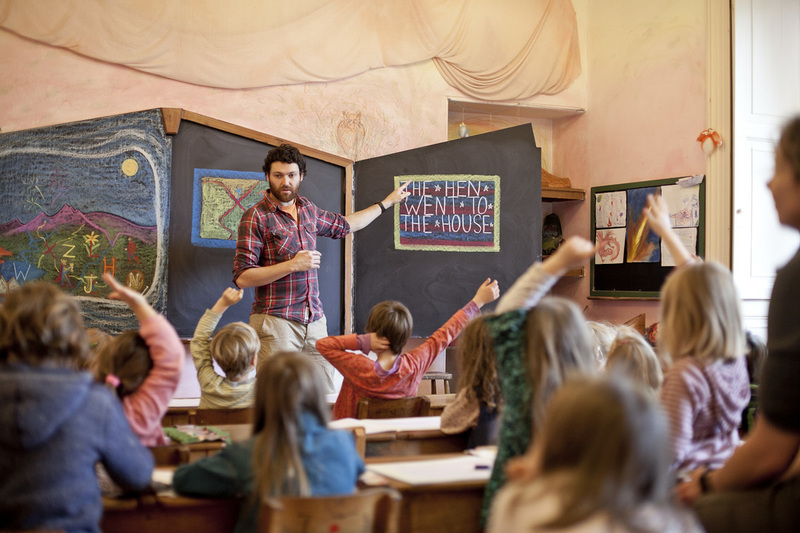 Specialist teachers bring foreign languages, music, sports and craft into the classroom. The heart of the class teacher's work is the two-hour daily main lesson, which, for a period of 3-4 weeks, concentrates on one theme. The class teacher's aim is to recognise and respect the strengths, needs and unique nature of each child and adapt to each child's mode of learning. 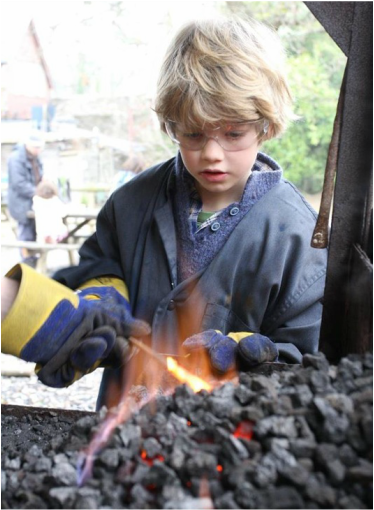 Metalwork, handwork and woodwork form an important part of the curriculum in the lower school. Students create their own beautifully illustrated 'text book'. Class One children are fully engaged and enthusiastic! In class 8, every child creates a major project of their choice over six months. It is entirely self-led, and culminates in a presentation to parents, teachers and peers. Past projects have included this giant wall mural (presented by the artists class mates!). Other projects saw students building a record player (and a record out of a CD! ), writing full length novels, creating a motorbike made from a lawn mower, putting together a 1950s fashion collection and building a full sized gypsy caravan! The children form strong bonds with their teacher and each other during the class teacher years (lower school). Most classes have the same teacher and peers for eight years. Teachers work with and through the children’s imagination and their feeling life. Main Lessons are taught by the class teacher: these remain the lynchpin of the teaching for much of the pupils’ time at our school. Main Lessons have a regular rhythm, including verses, movement, recall, rhythmic work, new material and written work and maths, music, singing, reading, writing, craft skills, movement, gardening and art will all be developed and woven into the topic. A foreign language (German) is introduced from Class One and worked with orally for the first three years. The option of a second language (French) is introduced in class seven. From Class Six onwards more academic rigour is applied and expected. Woodwork is introduced for the first time. Team sports begin. 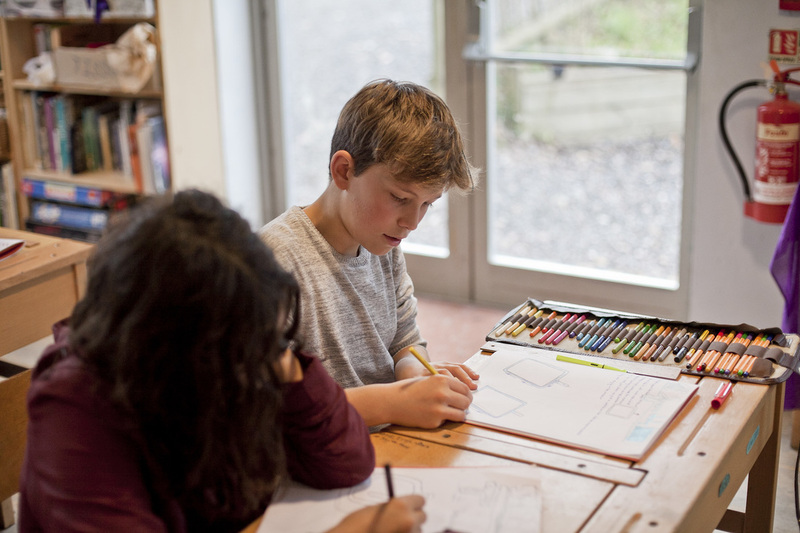 In classes Seven and Eight there is increasing overlap with Upper School timetable and some subjects are taught by Upper School specialists.